New to Looking4.com, this meet & greet service at Birmingham International Airport is designed to bring a smooth start and finish to your holiday or business trip. You will meet a Just Park and Fly representative driver outside the terminal and your car will be parked for you in a secure facility. 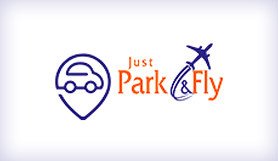 All company representatives of Just Park & Fly will carry identification, be uniformed and trained. This Birmingham meet & greet service prides itself on its cutting edge prices, great quality and security and this combination of qualities is set to bring you great value. Upon your return once you have collected your bags, cleared customs and you're ready to take collection of your vehicle please call the chauffeur line. The airport is easy to get to by car as it is just off Junction 6 of the M42 and is linked into central Birmingham by the A45. The Sat Nav postcode is B26 3QJ.